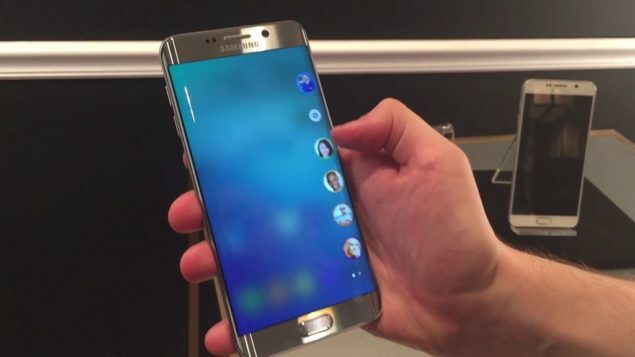 If you have been looking forward to enjoying some flavors of Samsung’s latest Galaxy S7 edge, but can’t let your Galaxy S6 go, developers have created a solution just for you. Noble ROM is a Galaxy S7 edge ported custom firmware that brings everything-S7 right on your Samsung Galaxy S6. Several user and developer reports confirm that the Galaxy S7 edge ROM is stable and lag-free and can be used as a daily driver. Backup any important data from your Samsung Galaxy S6 as a complete wipe will be required during the flashing process. Note: this tutorial is focused on Samsung Galaxy S6 model SM-G920F; please do not use this firmware file on other Android & Samsung devices. The firmware is also available for G925F which you can download from the XDA thread shared at the end of this post. Required files: download the Noble ROM Android 6.0.1 custom firmware for Galaxy S6 and save it on your computer. Do not extract the contents. Also download Google Apps Package. Boot into recovery mode: switch the phone on while pressing and holding Volume Up + Home + Power buttons simultaneously. From recovery menu, select install zip from sdcard followed by choose zip from sdcard. Locate the Noble custom ROM for Galaxy S6 and confirm the flashing process. Return back to main recovery menu and reboot your Galaxy S6 into the new custom ROM. You can now enjoy the ported Samsung Galaxy S7 edge stock Android firmware on your Galaxy S6. Don’t forget to share your experience with us. For more details and updates, please visit this XDA thread.